Today the California Supreme Court issued its decision in Fluor Corporation v. Superior Court. In a unanimous decision, authored by the Chief Justice, the Court rejected the enforceability of “consent to assignment” clauses as a bar to coverage when the loss pre-dates the assignment, based on California Insurance Code section 520, and overruled its prior decision in Henkel Corp. v. Hartford Acc. & Indem. Co. (2003) 29 Cal.4th 934. Chambers Ranks Duane Morris Among Top Five Insurance Practices in U.S.
Duane Morris is pleased to announce that Chambers USA has once again singled out the success of the firm’s Insurance practice group. 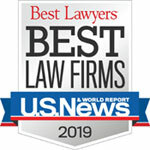 Chambers and Partners’ annual survey of the American legal profession consistently ranks Duane Morris among national leaders in insurance law and in 2015 ranked the firm in its top five for representation of Insurers in Insurance Dispute Resolution. Chambers has praised the group as being “A full-service insurance practice that has unparalleled bench strength at the highest level of insurance work,” and that it “Possesses the expertise to assist on all coverage matters across a huge range of arenas, as well as reinsurance, bad faith and policy drafting advice.” Nationally, Chambers recognized practitioners Philip Matthews, Max Stern and Thomas Newman for their work and contributions and in California, Andrew Gordon, Ray Wong and Richard Seabolt have also been recognized. A California Court of Appeal has affirmed a summary judgment in favor of the insurer on defense and indemnity with respect to claims that arose from circumstances known to the policyholder when it applied for professional liability insurance but that were not disclosed to the insurer in the application. Crown Capital Securities, L.P. v. Endurance American Specialty Ins. Co. (Cal.Ct.App, 2d Dist., Div. 5, 4/10/15). Because the application stated that a claim is excluded from coverage if arising from any undisclosed circumstance that was required to be disclosed in response to a question asked, and the application requested disclosure of circumstances that may result in a claim, the policyholder was not entitled to coverage for claims arising from the known but undisclosed circumstance. Duane Morris partner Max H. Stern will be moderating a panel at the American Conference Institute’s (ACI) National Forum on Insurance Allocation on October 29, 2014 at the Carlton Hotel on Madison Avenue in New York. Mr. Stern’s session is titled, “In-House Roundtable: Counsel and Claims Professional Insights on New and Emerging Issues in Insurance Coverage and Allocation,” and will take place at 9:35 a.m.
For more information or to register for this event, please visit the American Conference Institute’s website. An intermediate appellate court in California has issued a decision addressing inter-insurer contribution claims for indemnity payments in the context of self-insured retentions (SIRs) that has a couple of new twists worth noting. In Axis Surplus Ins. Co. v. Glencoe Ins. Ltd. (April 11, 2012), the Court of Appeal for the Fourth District affirmed the trial court’s ruling that Axis was entitled to contribution from Glencoe in the amount of 60% of what Axis paid to settle a construction defect claim against their mutual insured, despite the facts that the insured only made its settlement payment that satisfied the Glencoe SIR after Axis made its settlement payment, that Axis did not prove actual covered damages exceeding the total settlement amount, and that both insurers’ policies contained equal-shares allocation “other insurance” wording.